This one is my favorite but they're all awesome. We own three from series one and might need this one, too. 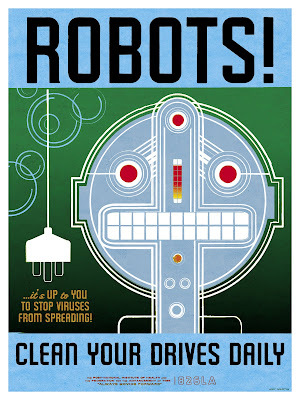 Check out Amy's site - the Tiny Vaudeville posters are great. Look, it's another 'not-a'! 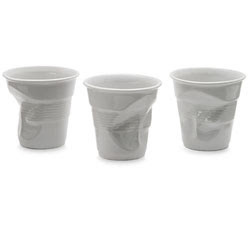 These are not those horrible little plastic cups that are thin and weird and easy to squish. They're ceramic, natch. Still too small, though. The MoMA store rocks; the MoMA catalogue, on the other hand, does not. But it's not the products inside, it's the way they select them. Too many scarfs and notecards - this ain't the Met. Love this. 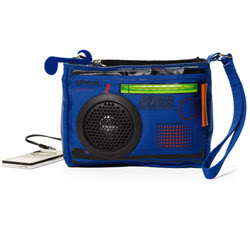 It's more a wristlet size and I'm sure the sound quality is awful, I just like the way it looks. Okay, it's a little bit hard to see (and I'm too lazy to tinker with the photo on a Sunday morning) but I loved this. 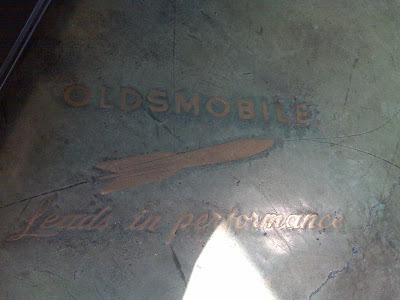 It was set into the floor at what is now a Honda dealer - so it's a little sad, really. But check out the awesome rocket logo. 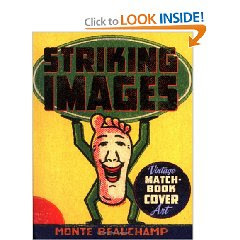 Atomic age! I've been in an uncoveting rut recently, I think. I spend too much time in Trader Joe's, where the packaging is awful. 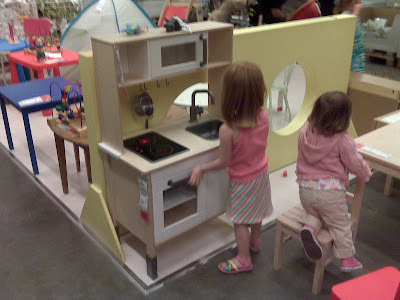 But check this out - IKEA getting into the stove biz. Kid stove, that is. This is important because most fridges either look like this, or cost a lot. The IKEA one has burners that glow, man. At least that's what I think they were doing. And all for $99. Of course you could put this together yourself out of bits and pieces from the as-is section.